Fall landscaping is the perfect way to lure potential buyers to your front doorstep. You worked tirelessly to create curb appeal in summer, but now that fall is here, you’re wondering how to protect that appeal. 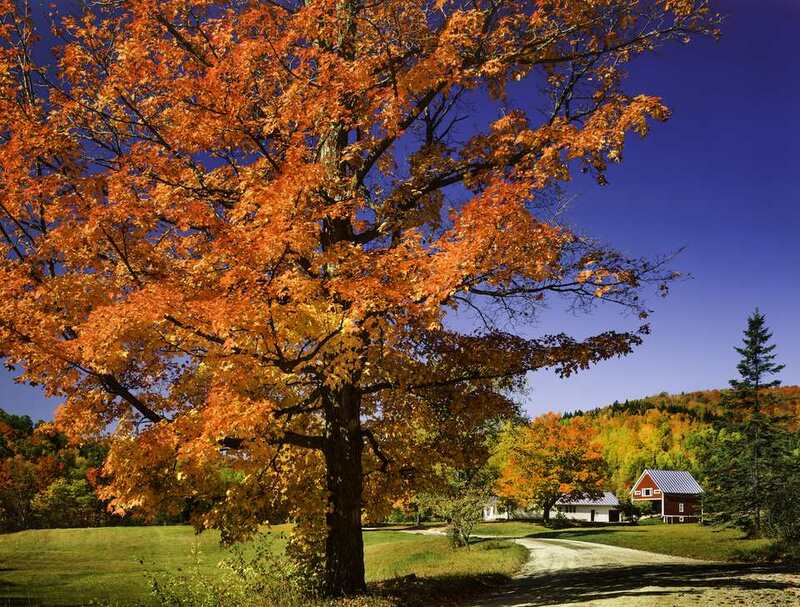 Fall is the best time to prepare your outdoor home for winter and to attract fall buyers. Grab your tools and get dirty before snow becomes your worst enemy. Take a look at these fall landscaping ideas to increase curb appeal. This fall look for mulch, pine bark, and other wood-type ground covers to brighten your landscaping. Spread fresh mulch around trees and shrubs. Refrain from using free mulch obtained from municipal piles as it may contain disease spores. Cheap mulch is usually made from diseased trees. The diseases linger in the mulch and may affect the quality of your grass. Visit your local home and garden center and get hardwood shredded mulch. If you want to wow home buyers, get colored mulch to match the architectural style of your outdoor home. Pine nuggets or pine bark are larger pieces of wood and add a more rustic curb appeal to your autumn landscaping. Bring more color into your garden with the help of fall flowers that grow well in the autumn season. Plant violas and pansies and buy bulbs before the most beautiful ones are sold out. However, wait for the temperatures to cool before you plant them. If you have goldenrods in your garden, tend to them and add some to your flower arrangements. Coneflowers are ideal for gardens that receive a lot of natural light as it could keep them blooming into fall. Consider using a fall fertilizer to combat seasonal and perennial weeds in your lawn and garden. Spot spray young dandelions and spray perennial weeds like burdock or curly dock with herbicide.Look to your local garden center or even a Farmer’s Almanac to determine what is the best time to plant flowers and shrubs in your geographic location. Your front patio is one of the first places buyers see when they visit your home. Since it gives the first impression of your home, ensuring it is clean and welcoming is essential. If it is warm and welcoming, it will create an at-home feeling. For design, inspiration takes a look at these at these patio ideas. If you have a concrete or a teak patio, pressure wash it. After the teak dries, apply a teak sealer to protect it and make it look new. Remove the dirt and mildew on the steps and siding. Pressure wash tile to remove dirt and grime by force. When buyers see your clean patio, they will know your home is well kept. Choose functional furniture for your patio and add comfort with throw pillows. Select colorful ones to create a cozy setting. You can also add color to your patio with greenery, fresh flowers, and outdoor area rugs. Prepare for night showings by getting new lighting fixtures. Clean those that are in good working condition with a soft cloth. Colored concrete pavers and stepping stones can make a plain outdoor home look spectacular. There are many creative options and endless color choices so you can create the specific look you want. One of the advantages of colored concrete is that it can imitate the look of tile, flagstone, or brick. You can use pavers or stepping stones in different colors to break up large grass areas. The color of the stone or paver is at times coupled with other decorative techniques like stamping and saw cutting to make the features even more beautiful. Not only are colored pavers and stepping stones lovely design options, they are inexpensive and well-suited to both old and new homes. When buyers arrive at your home, they look at the landscaping, the walkways, the patio, and the front yard. If your home is beautiful on the outside, they will sense it’s beautiful on the inside. Buyers won’t care whether you have hardwood floors or new kitchen appliances; they will focus on fall landscaping. Give them what they want and you’ll be rewarded.